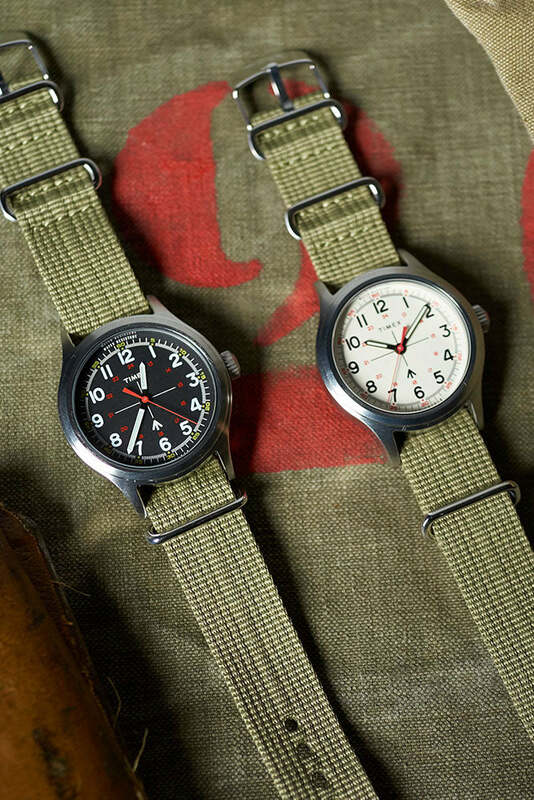 "This new watch is a personal favorite, bringing together incredible historical references, military-inspired styling and impeccable yet understated workmanship that works for any occasion." 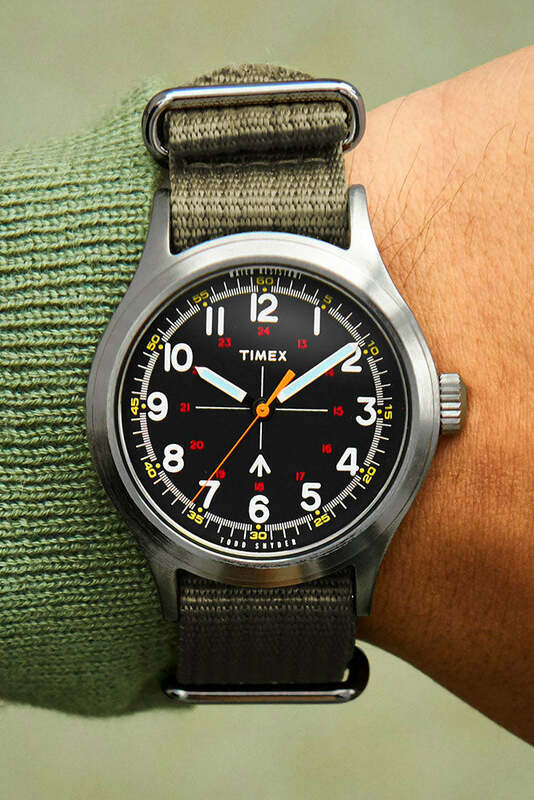 Inspired by 1970s military-spec watches and reinvented for everyday civilian wear, the latest collaboration between Todd Snyder and Timex reflects a shared commitment to design, utility and craftsmanship. 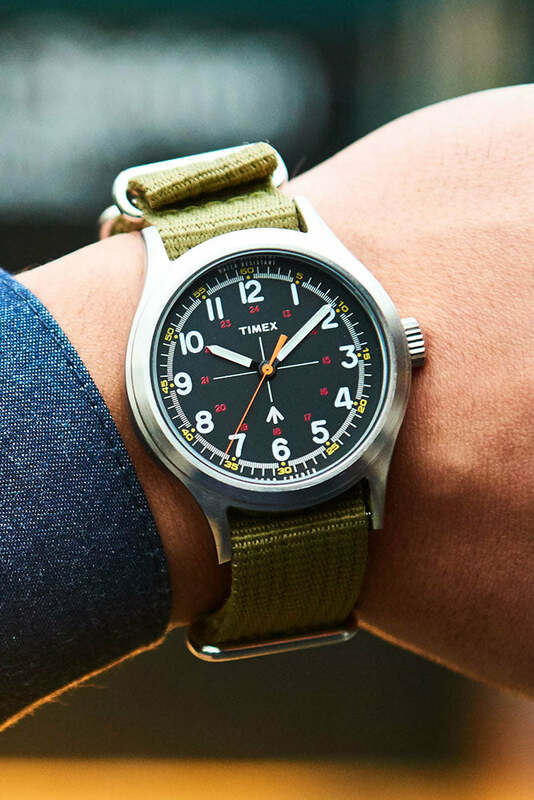 This fresh style features vintage dial artwork based on exceptionally rare pieces in the Timex archive, updated with contemporary case and strap detailing for a clean, modern silhouette. 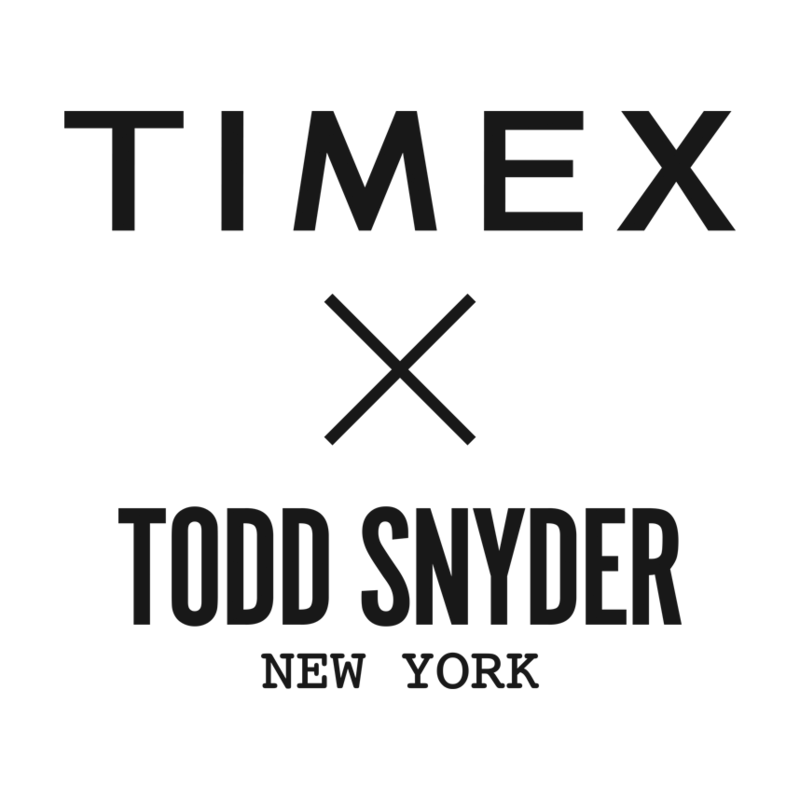 The Reissue Collection is the latest offering from the ongoing Todd Snyder + Timex partnership, embodying classic Americana along with a contemporary approach to quality workmanship. 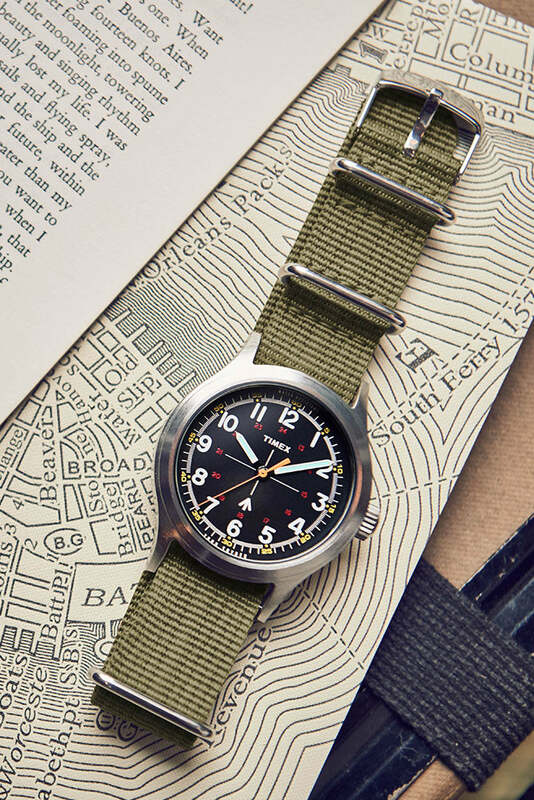 Every style in the collaboration is designed for versatility and genuine wearability, pairing as well with a suit as it does with jeans and a tee.